Anti-terrorism and illegal immigration container protection systems. 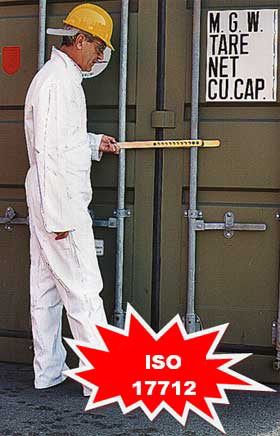 The Forkseal® safety locking system protects container doors, guaranteeing 100% security against the ever increasing efforts of illegal immigrants breaking in, as they attempt to be transported to freedom. Alongside the ethical concerns, Illegal immigration also causes economical and technical problems which could be avoided by using a safety locking system such as the Forkseal ® on the container doors. • Sequenced numbering up to 6 digits. • Logos and numbering are also engraved on all metal bar.